sofá Gag. 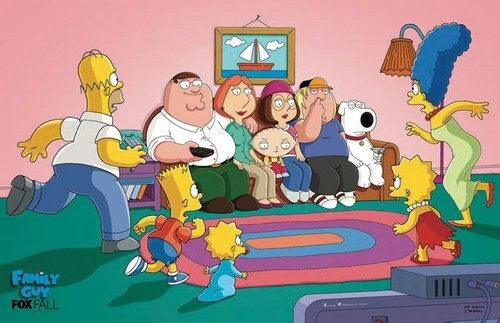 Family Guy, you win this round.. HD Wallpaper and background images in the The Simpsons Vs Family Guy club tagged: photo the simpsons family guy couch gag. This The Simpsons Vs Family Guy photo contains anime, banda desenhada, manga, desenhos animados, mangá, and quadrinhos.